What is Rudhyarian Astrology? Dane Rudhyar, the famous astrology teacher and philosopher, formulated and developed a complex system of astrological symbolism. Although he never used the term Rudhyarian to describe his new approach, the complexities and deliberate shift away from what are commonly known today as Vedic (eastern) and Western astrology, has made it impossible to define his unique approach with traditional descriptors. Astrologers, who have thoroughly studied his vast body of work, are becoming more comfortable using the term Rudhyarian to authenticate a clearly new and distinct departure from the traditional astrology practiced by main-stream astrologers. Rudhyarian astrology is a complex symbolic language that expands the idea of holism to an archetypal level. Holism is definitely a foundational concept in Rudhyarian philosophy, but he uses the term in a fresh and expanded manner that goes beyond what is typically considered holistic thinking. Rudhyar felt it was necessary to present new terminology and concepts to explain his expanded views. These expanded views include ideas and terms that are foundational to understanding his new symbolic language. These new foundational concepts are collectively becoming known as Rudhyarian philosophy. The new terms and concepts in Rudhyarian philosophy are complex in their very nature. A brief introduction to a few of these key terms is included here. For some additional insight, a footnote section is included. Rudhyar saw astrology not only as a symbolic language, but as an operational archetypal-whole, thereby giving it a context and a relationship to the core of larger scale symbolism. This concept he called "operative wholeness(1)." The philosophy of operative wholeness is considered by Rudhyar a new interpretation of reality. He said, it calls for a new quality of Being to answer the call for a "higher" state of evolution, which embraces the idea of the rhythms of wholeness. This is a cyclic process of spiritual embodiment, which in order to be understood fully, requires a "new mind" — the mind-of-wholeness. Rudhyar understood the mind-of-wholeness to be a revelation of meaning through a sequence of events, the whole-of-events. A prime example of operative wholeness is the integrated esoteric structure of The SABIAN. Holarchy is humanity's supreme archetypal function within the planetary whole in which humankind is evolving. The Principle of "Holarchy"(2) and the interplay of horizontal and vertical relationships are the foundation for this "new mind," and as a result, a new interpretation of reality. The idea of evolution, according to Rudhyar, is not limited to only the biological level. He included the idea of evolving the quality of one's being and an expansion for higher states of consciousness that make use of a planetary mind. Higher consciousness, embracing a fuller, richer, and deeper experience of life, is moving toward the state of what Rudhyar calls, "The Illumined Man." The individualism dominating human consciousness and activities today, constitutes an intermediary stage of evolution. Individualism is a transition from a "vitalistic"(3) approach to reality, to a higher mode of being, the Pleroma(4) state. Dane Rudhyar also explored the many levels at which astrology may be studied. This multi-level philosophy spans the biological level, the person-centered level, and the transpersonal level. At the transpersonal level, what is symbolized in an astrological chart is useful in the process of transformation to a higher level of being, especially through the use of the planetary transits of Uranus, Neptune, and Pluto. This concept presents his vision of astrology as an alchemical tool for the transforming of self. Practical applications of this multi-level approach, described in his collective works, are presented in terms of transforming personal relationships of all types, and shifting the basis for one's inner security. Rudhyar's practical approach to astrology was important to him and he stressed that the practical use of any astrological system must only be considered if it was based on enlightened principles of transcendence. Through his writings, he demonstrated a deep understanding of these principles and the use of the opportunity of each moment through transits. He taught that progressions were an indicator of a particular spiritual phase of evolution. Rudhyar was masterful at weaving complex ideas together using universal themes that bridged both eastern and western thinking. 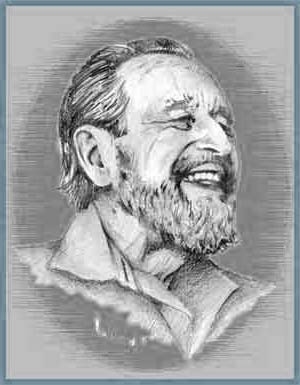 His breakthrough concepts and multi-level approach to astrology, combined with practical applications of his holistic approach, can be synopsized in the new field of study known as "Rudhyarian Astrology." His overall foundational views of cyclic wholeness, archetypal hierarchy, multi-level evolution, solar Logos, and the solar tide are considered essential aspects of Rudhyarian philosophy and form the basis of his extraordinary astrological thinking. Seattle Astrology is formulated on this newer approach of astrological philosophy. 1. Operative wholeness was considered by Rudhyar as a philosophy that embraces reality in a new way through a new quality of being. This philosophy sees everything as operating within the rhythms of cyclic movement. The cycle itself represents a whole in which wholeness is experienced as operating through the individual, and simultaneously as an integrated part of the greater whole. 2. Holarchy is the principle of a hierarchy of wholes where lesser wholes are also an integrated part of a greater whole. 3. Vitalistic philosophy conceptualizes that Life is in everything, as both inter-penetrating all substance and providing the vital spark for its existence. This vital energy is considered a vast, universal sea of energy in which all that is "moves and has its being." 4. The Pleroma is a state of being whose participants have passed successfully through the condition of individualized and separate selfhood. As a result, these individuals operate together as a planetary whole in a state of mental interpenetration and spiritual integration. This is considered a state which allows the safe actualization of powers and faculties latent in present-day human beings. Rudhyar refers to the Pleroma as "the collectivity of illumined, formerly human beings whose centers of consciousness inter-penetrate and resonate in unanimity of purpose but retain the individuality and functional nature of the particular spiritual Quality each represents." (Rhythm of Wholeness, p.185) For Rudhyar, the Pleroma is seen as a phase of the universal cycle of being, where a person passes into individuality and then beyond it. The Pleroma, for most, is considered as a future state of beingness, but it is also seen as a possibility for the now.